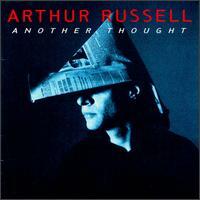 Brainwashed - Arthur Russell, "Another Thought"
This CD was originally issued on the Point Music label in 1994 to little fanfare, and it quickly went out of print. It was the first posthumous release of the work of Arthur Russell, who died of AIDS in 1992, but significantly pre-figured the resurgence of interest in the artist a decade later. To meet the new demand, it has now been reissued by Philip Glass' Orange Mountain Music label, in an edition nearly identical to the 1992 release. It easily ranks among Russell's best releases, filled with memorable, idiosyncratic songs drawn from the Russell's vast private tape archives. Although Another Thought is not a finished album per se, but rather a collection of some of the best bits from Russell's archive of unreleased recordings, it nonetheless retains the feeling of a coherent whole. The archivists responsible for choosing and sequencing the songs did an impressive job of making the album into a something of a narrative, and nothing here feels like it doesn't belong. This is impressive, as stylistically, the CD is a mixed bag, drawing from several different modes of Russell's music. There are cello-driven vocal pop songs that recall the material on World of Echo, as well as experiments with drum machines and synthpop sounds that come closer to the material collected on Audika's Calling Out of Context. There is even a nod to Russell's Paradise Garage days, with an alternate shorter take on the mammoth 12-minute mutant disco side "In the Light of the Miracle." The first few tracks all share the cloistered, up-close feel of Russell's most disarming songs. His throaty, soulful voice and beautiful cello playing - by turns lush and sweet, then staccato and percussive - combine with his close-mic'd recording style and simple, romantic lyrics to create a suite of lovely chamber pop masterpieces. "Another Thought" and "A Little Lost" are exemplary of Russell's songcraft, pitched somewhere between the nearly alienating minimalism of World of Echo, and the oftimes embarassingly dated sound of Context. Again, there is the feeling throughout these songs that Russell has developed a wholly unique affinity for his instrument, using it in ways that have never before or since been attempted. Something about Russell's humble beginnings in the lonely expanses of the American Midwest seemed to allow him to ignore most of what was going on around him in the fertile 80s NYC scene, and use his voice and instrument in ways completely original to him. Those who have seen the film of Russell performing on Audika's CD/DVD reissue of Echo will know that he played and sang at the same time, often improvising, gently finding the melody and his voice along the way. Also in fine form throughout this disc is the trademark Russell use of echo—not the cheap delay pedal variety used by every wannabe psych-rock group, but a more subtle usage, a way to prolong and highlight certain syllables, to suggest a complex rhythmic architecture behind deceptively simple cello figures, to impart a mood of sensuality, all soft lenses and romantic lighting. I've been listening to a lot of Arthur Russell for the past six years, and its come to feel as if he's whispering in my ear. The aspects of his asexual vocals that many find repellant at first become soothing and seductive, far more nakedly romantic than anything you'll hear on your local "quiet storm" radio program tonight. One major difference about the songs collected on Another Thought are the lyrics. Russell was known for underplaying the importance of lyrics in his vocal works, claiming that the words were chosen for their sound and assonance rather than their meaning. This position is certainly supported by the lyrics to tracks like "Let's Go Swimming" or "The Platform on the Ocean," often just mantra-like lines repeated endlessly until they become alienated from all linguistic sense. 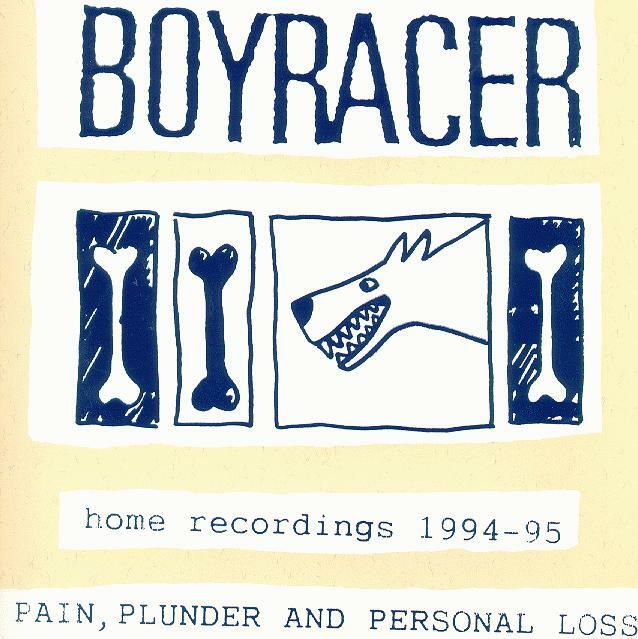 However, many of the tracks on this CD have lyrics which could only be described as heartfelt, meaningful and poetic. There's still that certain naive, romantic sensibility, but also in the mix is evocative lyrical imagery, as in "My Tiger, My Timing" and "Me For Real," the latter describing an intense bicycle ride through the city, leading to a revelatory moment of introspection. Another Thought is one of two Arthur Russell releases seeing the light of day this year, the other being Audika's double-disc reissue of Russell's orchestral works, First Thought Best Thought. The most recent volume of Kitchen Archives label included some rare live material by Russell as well. Though this is great news for fans, it may also mean that the sun is finally setting on rare Russell material that can be posthumously unearthed and released. It's just too bad that the man himself couldn't have lived to see his work being re-released and appreciated by a whole new generation. The music on Another Thought attests to the fact that Russell never stopped thinking, and was always innovating and refining his unique and alluring soundworld.